Union Street Tin Co combines in-house design, artwork and project management with an international manufacturing network to produce striking decorative metal packaging, general line tins with an extensive catalogue of features, and a collection of ready-to-ship stock tins in numerous popular sizes and shapes. Combining generations of family experience in the industry with an existing catalogue of thousands of shapes and sizes, advanced printing techniques and the ability to quickly develop and produce customized tooling, Union Street is able to meet any client’s metal packaging needs in a quick and cost-effective manner. From the classic olive oil tins that marked our family’s start in the industry to the cutting-edge style and construction of contemporary metal packaging, Union Street has embodied experience, technical knowledge and sense of design that make it uniquely qualified to meet the demands of the modern marketplace. Union Street’s stock tin programme consists of scores of popular shapes and sizes, which are produced in plain tinplate or aluminium, ready for labeling, available for purchase in small quantities, and stocked in both domestic and international warehouses for immediate shipment. Metal jars, bottles, boxes, screw-top tins, slide-top tins and more comprise the Union Street stock catalogue, allowing customers to quickly obtain ready-to-use metal packaging that is versatile and inexpensive to suit their needs. 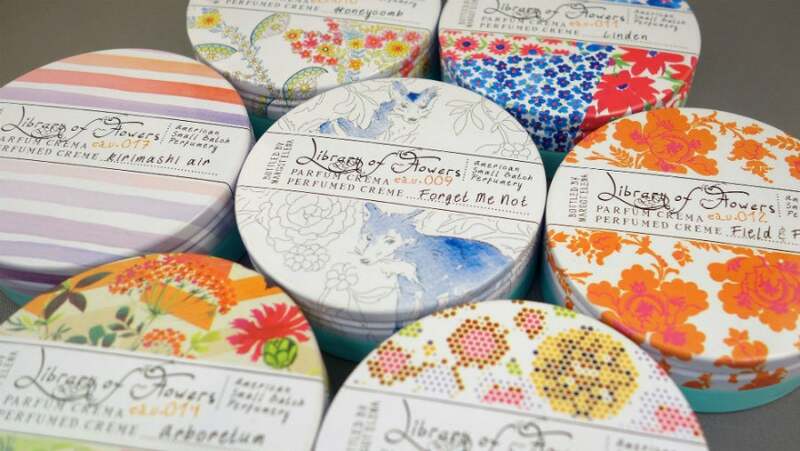 The decorative tin programme utilizes Union Street’s design, printing and tooling capabilities to create stylish, customized retail and promotional packaging that is produced according to the customer’s exact specifications. A library of existing tooling for thousands of shapes and sizes combined with nimble toolmaking capabilities give Union Street the ability to meet highly specific technical requirements and quickly produce samples to meet customers’ exact specifications. Union Street’s in-house design department handles prepress work, as well as providing guidance to help customers gain the most impact from custom printing. The general line programme produces highly specialized containers and components, such as closures and capsules, at high-speed, high-volume and low-cost for industrial, medical and sanitary products. In addition to traditional electrolytic tinplate, Union Street utilizes aluminium to produce packaging that is durable, attractive, non-toxic and non-reactive. Aluminium is also an ecologically advantageous packaging material, fully recyclable and lightweight to keep shipping costs and fuel usage low. Union Street’s aluminium bottles are available in sizes and shapes to meet any need, whether it is for personal care, beverages, household products or other uses. Bottles may be produced in any color or made with custom-printing, in any height and in a wide variety of diameters. Union Street also supplies aluminium bottles with pumps, sprays, caps or closures to suit any purpose. Union Street’s aluminium jars are designed with two-piece construction, and their seamless bodies and non-reactive material are perfect for food products, waxes, creams, lotions and other personal care products. They can be made with slip-covers or screw-tops for a secure closure, and fitted with cover inserts to aid the cover seal. An extensive catalogue of custom sizes is stocked in American and European warehouses for quick delivery, or they may be custom sized or printed. Union Street also offers anodized aluminium containers, changing the chemical structure of the metal’s surface to create a durable, scratch-resistant finish that can be produced in any color. Union Street utilizes state-of-the-art equipment and generations of experience in metal lithography to ensure the highest quality printing for customized designs. In addition to traditional metal lithography, Union Street uses methods such as computer-to-plate transfer and UV hexachrome printing to speed-up the prepress process and shorten lead times, while simultaneously producing more visually impressive products. Computer-to-plate bypasses the film exposure methods still used in many tin factories, employing a thermal exposure system that utilizes lasers to generate printing plates with perfect accuracy and increased resolution. UV presses allow for higher print speed and print quality, and can be used for conventional four color process printing or hexachrome printing, a six color process that allows for better color reproduction. The Union Street family has produced decorative tins for four generations, and brings an unparalleled level of experience and technical understanding to the metal packaging business. This kind of multigenerational, institutional knowledge, paired with its technically capable and advanced network of manufacturers, makes Union Street Tin Co uniquely qualified to meet the demands of the modern marketplace.